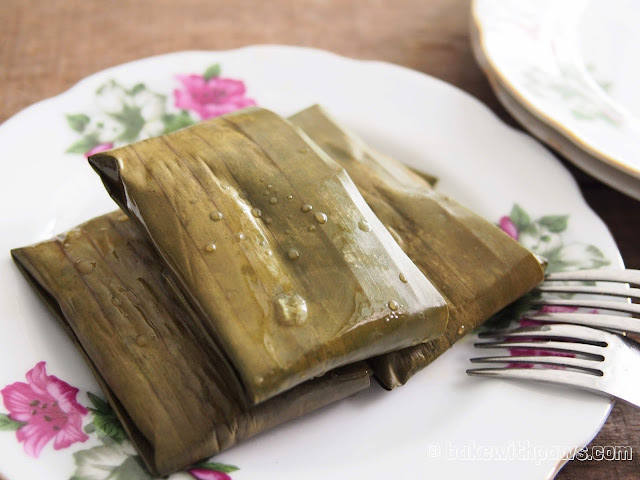 Lepat Pisang, also known as Steamed Banana Parcel Cake. 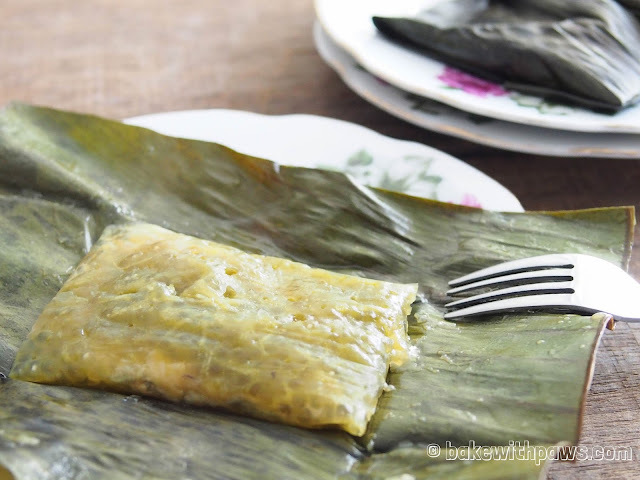 This is my own version of Lepat Pisang with steamed sago, banana and pandan wrapped in banana leaf. The original Lepat Pisang is made with just plain flour and banana instead. 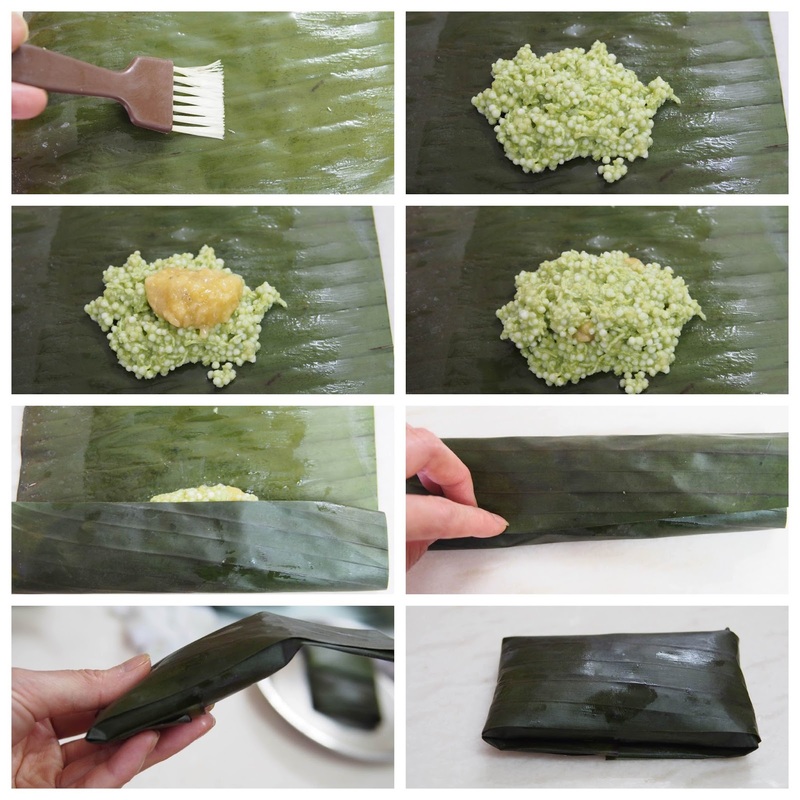 This is not a traditional lepat pisang but I am sure you’ll enjoy it! 1. Cut banana leave according to the size above and wash. Scald in boiling water to soften and pat dry. 2. Rinse and soak sago in water for 30 minutes. Drain and strain. 3. In a mixing bowl, add soaked sago, grated coconut, coconut milk, pandan juice, sugar and salt. Stir and mixed well. a. Brush some oil on the banana leave. b. Scoop about 1 tablespoon of mixed sago onto the banana leave. Then place 1 teaspoon of mashed banana and cover with another 1 tablespoon of mixed sago. c. Fold both sides to the middle and overlapping. Then tuck in both end to secure. It looks like a parcel. 5. Steam for 20 minutes or until all sago pearls turn translucent. 6. Transfer to a dry clean plate to cool.